Illegal Architectural Practices in India - ArchitectureLive! A few days ago Ar. Jaisim Fountainhead shared his views on Foreign Architectural Practices in India. The topic, continues to evoke discussions, debates and views. Ar. Abhishek Bij, this time is sharing some insights on illegal practices in India along with facts and some references from Architects Act 1972. Currently there are 3 aspects under which the profession is being illegally practiced. If any of these pointers are true then the practice is Illegal and can be tried in the court of law. These claims are simply based on the following excerpts from the Architect’s Act 1972. I have taken the liberty to highlight few important notes. COA (Council of Architecture) Has left opportunities for reciprocity between different architectural councils, however, no such agreement has been made yet. SECTION 37 – WHO CAN USE TITLE? (ii) “naval architect” means an architect who deals with design and construction of ships. (2) If any person contravenes the provision s of sub-section (1), he shall be punishable on first conviction with fine which may extend to five hundred rupees and on any subsequent conviction with imprisonment which may extend to six monthsor with fine not exceeding one thousand rupees or with both. I am at a predicament where the information I am allowed to share is limited. Information shall surface publicly in due course of time. Believers may trust me that CoA is asking illegal entities to shut down or change their MoA. It is summoning unregistered practioners. Companies are also facing criminal charges currently, example RSP Singapore as per the 16thJuly article in the Times of India. 1. On 10thOctober 2011 a circular was released by Ministry of Corporate Affairs (MCA), instructing all ROCs and RLLPs to not register any company that have architecture in their Memoranda of Association (MoA). In their notice they clearly index Architects Act 1972 Section 36 and 37. 2. On 1stMarch 2012 another circular was released by MCA to ROCs and RLLPs. This time, commenting on the profession of Chartered Accountant, Cost Accountant, Architect, Company Secretary etc. Here, the October circular was reinforced and all ROCs + RLLPs were instructed to refer the respective regulatory body before registering a company. Clearly that would mean that for Architects the CoA was to be refered and CoA in turn indexes the Architects Act. 3. On 16thJuly 2012, TOI highlighted some of the issues regarding foreign practices. It used the case filed against RSP Architects as an example too. In short the purging of the profession has begun. Currently there are 900 Companies practicing architecture in India. Whatever they may claim in their MoA (design services, spatial planning, etc) most of them are paying Service tax for Architecture. Some don’t even have architects as directors. There are also honest Foreigners who have registered themselves with the CoA. Which shows their respect for the law of the land. To sum up, there are avenues for a systematic approach to practise in this country. Then why choose wrong methodologies? Architect Abhishek Bij is an Associate and Lead Designer at Design Plus Architects, New Delhi, Unit Master at Sushant School of Architecture, Gurgaon and Principal at Design [ +] Design Research. 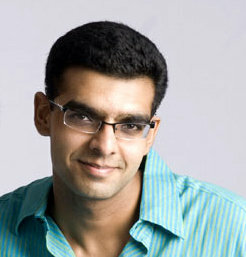 Click here to know more about Abhishek Bij. Good objective article. Gives some insights into the Act of Law that regulates our profession, and keeps out illegal elements from usurping the position of the legitimate Architect. Many of my friends are unaware that if he/she leaves India for an extended period… say as a PR of Australia or Singapore… then he/she must surrender their COA registration. One can be a COA registered Architect only when ‘resident’ of India. But so many of us are unaware of these and such similar provisions of the Act. probably because schools of ARchitecture hardly touch over this important piece of legislation that governs our profession. However Under section 15. any such person can through valid channels (read CoA) can obtain / maintain his registration. Glad, this comes up again. I remember of an issue brought up by leading architects from Pune in the MahaConvention in 2010 about this and appealing to the CoA to modify its 1972 act. Could you also highlight, what are the concerns behind legitimate architects coming together to form architectural companies (reg with ROCs and RLLPs)? It would be interesting to understand the CoA’s standpoint. See legitimate architects can come together in any case they dont need CoA’s approval. Depends on though what they want to come together for. If they want to talk discuss ans share and be heard, they can form institutions. If they want to work together, they should form a firm. I dont know CoA’s apprehension 100% but i can imagine it has to do with the Liability. in a company your liability = stake in the company. In a firm the liability is equally divided amongst partners no matter what their individual stake is. Architecture, atleast in Studios, is still considered a noble profession (i request lets not start a debate on this). hence liability becomes a huge aspect. in addition if you open doors to formation of a company you open doors to a greater mess for example LLPs, alien traffic. More people violating the Act. As mentioned there are avenues to all sort of alliances within the premise of the act itself, so why try something that aint? Why are you not counting non architects practicing architecture, may be Indian or foreigners. It is also illegal practice. @Bhumay that’s what illegal practice 2 mentioned in the article is.